Top-quality medical devices help the FDA better protect and promote public health. And one of the top priorities for FDA's medical devices center is a focus on quality. The FDA launched the Case for Quality in 2011 following an in-depth review of device quality data and feedback from both FDA and industry stakeholders. This program allows the FDA to recognize device manufacturers that are capable of consistently producing high-quality devices and continuously improving. Greenlight Guru is partnering with FDA CDRH to help spread the word and promote the Case for Quality initiative and its benefits to the medical device industry. 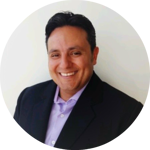 This free 60 minute webinar is presented by FDA Case for Quality Program Manager Cisco Vicenty and will present an overview on lessons learned from pilot program participants. In keeping with our mission, the Center for Devices and Radiological Health (CDRH) is responsible for protecting and promoting the public health. We assure that patients and providers have timely and continued access to safe, effective, and high-quality medical devices and safe radiation-emitting products. We provide consumers, patients, their caregivers, and providers with understandable and accessible science-based information about the products we oversee. We facilitate medical device innovation by advancing regulatory science, providing industry with predictable, consistent, transparent, and efficient regulatory pathways, and assuring consumer confidence in devices marketed in the U.S.
We seek to continually improve our effectiveness in fulfilling our mission by planning strategically and regularly monitoring our progress.